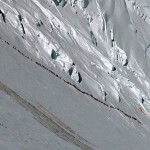 Here’s another one to put in the dubious claims about Everest file. This week a few news sites have been reporting that five places in the UK (Ashwell, Miserden, Brent Knoll, Ulverston and Gilsland) have slower broadband internet speeds than Everest. UK villages have slower broadband speeds than Mount Everest proclaimed a headline in Newsweek. “These speeds are slower than the 2Mbps average internet speed found on the Himalayan mountain post,” the article went on. Is this monk really better off than residents of Ulverston in Cumbria? Himalayan mountain post is one of those vague phrases journalists often use when they’re not really sure about something. Everest can more accurately be described as a mountain, so where on the mountain can these 2Mbps internet speeds be found – do they mean at the summit, base camp, or the teahouses in Gorak Shep, the nearest village? What is a mountain post, anyway? Perhaps they are referring to one of the many army, police, or national park checkposts further down the trail? ITV News were a little more specific: Herts village broadband speed slower than at Everest basecamp. “A new survey has shown that a village in Hertfordshire has one of the slowest broadband speeds in the country, even slower than the basecamp at Everest,” they said. Initially, I was sceptical of these claims, as you can see. But it wasn’t just me. 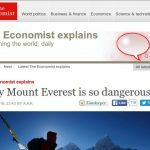 The BBC have been as guilty as anyone of parroting misleading headlines about Everest without checking facts, but even they appeared to find the statement dubious. They decided to leave Everest out of the headline in their own report, and expressed modest doubt by inserting the claim as a quote. Before I come to where this claim originated, let’s see whether it’s plausible. It’s widely known that 3G connectivity has been available on Everest for a few years now. 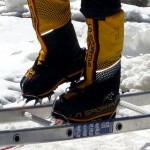 In 2011 the professional climber Kenton Cool made a phone call to his wife from the summit, during which he thanked his sponsor Samsung for making it possible. Samsung had only provided his handset. He should really have been thanking Ncell, the Nepalese telecoms company who provided the phone coverage by erecting cellular masts throughout the Khumbu region of Nepal. Since Ncell provided the infrastructure it’s been possible to get 3G at various points on the Everest Base Camp trail. It’s also been possible to get Wi-Fi in teahouses. However, I believe this Wi-Fi is provided by means of mobile hotspots which use the 3G infrastructure, rather than by broadband, which requires either cables or a satellite connection. Just how plausible is 2Mbps at Everest Base Camp? When I was there in 2014 during my expedition to Lhotse, I couldn’t even get 3G on my phone. To post my blog I had to walk 45 minutes down the trail to Gorak Shep, and use the Wi-Fi in one of the teahouses. There was satellite broadband available, though. Next door to us at base camp, the Nepali expedition operator Asian Trekking had erected a giant satellite dish and were providing internet connectivity to many teams in base camp. 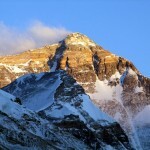 Several mountaineering operators also use Inmarsat’s BGAN satellite broadband service. This is extremely expensive. They don’t advertise their costs, but I believe it’s around $10 per Mb of data, and I’m sure the poor residents of Ashwell in Hertfordshire will be paying much less. It is also pretty slow, with speeds in the 300 to 400 Kbps range, not a patch on the 2Mbps figure quoted. In any case, it’s debatable whether satellite broadband supports the claim of there being faster broadband on Everest than at Ulverston in Cumbria. For two months of the year Everest Base Camp is simply a collection of tents on a glacier. For the other ten months it’s … um, a glacier. There is no permanent broadband infrastructure, and the equipment to make it work has to be carried in by porter back every year. You can do that in Ulverston too, and even transport the equipment in a car. 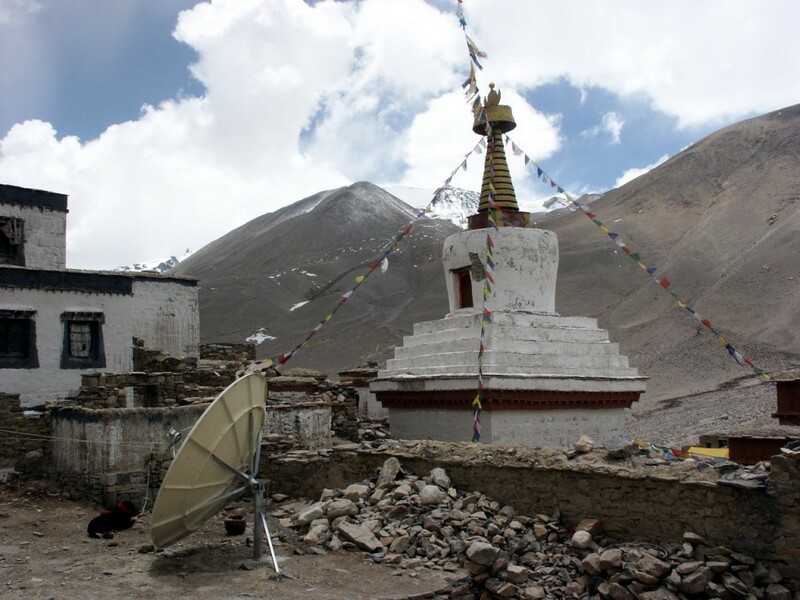 Is this satellite dish at the Rongbuk Monastery on Everest’s north side providing 2Mbps broadband? So you can’t really claim there’s 2Mbps broadband on the Nepal side of Everest, but how about the Tibet side? The Chinese government built a tarmacked road to base camp on the north side in 2008 to help them carry the Olympic torch to the summit. If they decided they wanted 2Mbps broadband at base camp, it’s very likely they would just get on and do it. 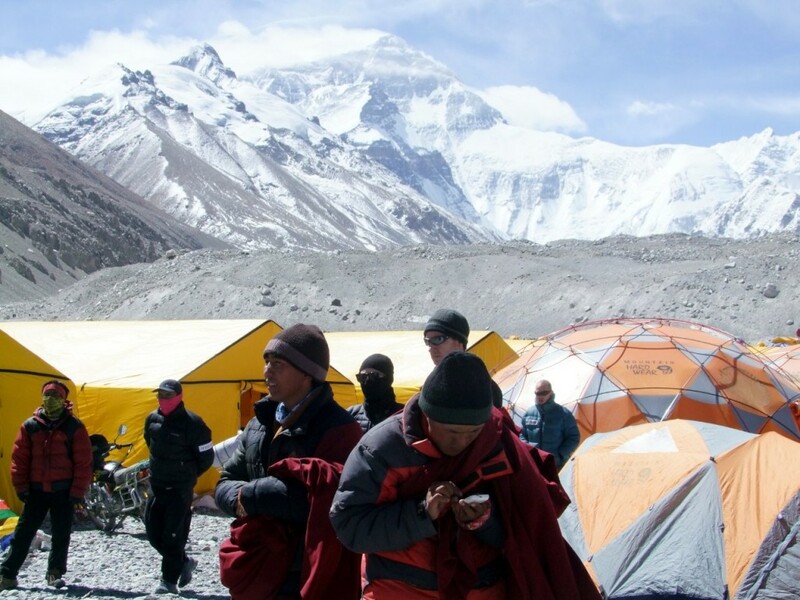 When I was on the Tibet side of Everest in 2012 our Inmarsat BGAN connection didn’t work at base camp (5200m), because of the surrounding hills which blocked out the satellites. Bizarrely, it did work much closer to Everest at advanced base camp (6400m). There was a 3G cellular mast at base camp which enabled me to browse the internet using the Whispernet connection on my Kindle, but this was switched off promptly at 5pm every day, and it wasn’t anything close to 2Mbps. I could usually pour myself a mug of tea and visit the toilet tent while a web page was still downloading. 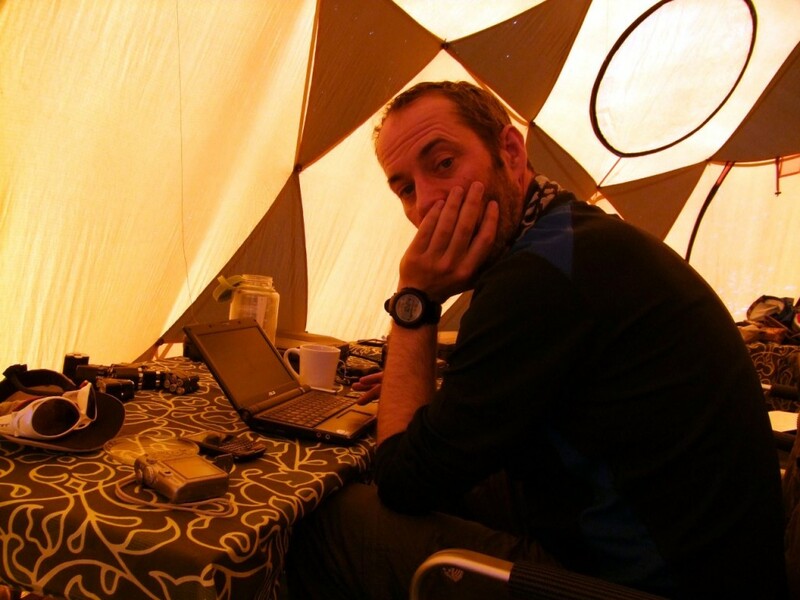 Our most reliable source of internet connectivity at base camp in 2012 was my team mate Axe, who had a China Mobile connection on his laptop. This had to be purchased through a contact of his, as I believe China Mobile accounts were only available to Chinese nationals. China Mobile has been providing a GSM service at Everest Base Camp since 2007. I don’t know what the data speed is, but strictly speaking it isn’t broadband. GSM also uses mobile base stations, rather than cables or satellite. In 2013 China Mobile upgraded it to 4G, but again, no broadband. To give you an idea of what this involved, the Chinese technology company Huawei made this quaintly old-fashioned homemade YouTube video about its installation. As you will see, it wasn’t easy. So where did these claims of 2Mbps broadband on Everest originate, and how reliable is the source? According to the reports, a UK company called cable.co.uk has recently issued a report comparing broadband speeds throughout the UK. It wasn’t clear whether they had also measured internet speeds at Everest Base Camp as the report isn’t available on their website, so I reached out to their press team via Twitter to ask about the source of their data. I asked cable.co.uk to provide a better source for their data than this, but they did not respond. I’m pretty sure cable.co.uk have no idea about the internet service and data speeds on Everest. It’s likely their claim about Brent Knoll in Somerset having slower broadband than Everest has been completely fabricated. I had never heard of cable.co.uk but it looks like they are a broadband comparison website who make their money by taking a commission when consumers switch from one provider to another. On their About page, they have a code of ethics which claims that “Cable.co.uk is committed to providing factual, relevant and unbiased information at every level of the site, be it news, reviews, guides or other”. Hmm … if this is true, why would they jeopardise their reputation by inventing a dubious claim about Everest when they didn’t need to? One way PR teams try to get media coverage for their company is by publishing reports in their niche. For journalists to be interested there needs to be some sort of angle, something guaranteed to persuade people to stop and read. And what better way than bringing Everest into it? Everest is much more interesting than broadband. Regular readers of this blog will already know the media are happy to publish any old crap about the world’s highest mountain verbatim, without bothering to do any fact checking. Except it’s not so brilliant (awesome). As marketing guru Seth Godin pointed out, you can cry wolf as often as you like and the villagers won’t come, but the media often does. The media might fall for the line about Everest, but the real audience are members of the public. If cable.co.uk are happy to invent a dubious statement about broadband on Everest, are there any other dubious claims they are happy to make in order to get customers? Quite possibly. As a potential customer I’m happy with my broadband here in London. But if I ever move to the country and it starts running like treacle I’m pretty sure who I won’t be trusting to help me switch. 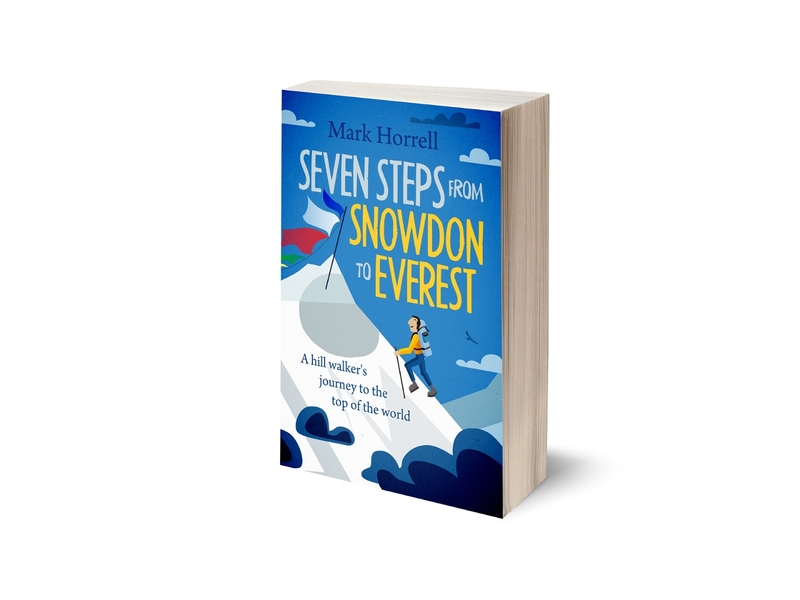 For more about broadband on Everest (and other much more interesting stuff about Everest), my book Seven Steps from Snowdon to Everest is available now. Hi Mark – If you ever need to use a UK broadband comparison website, maybe try https://broadbandinternetuk.com. It was a BBC Radio 2 Website Of The Day a while back. WOAH! Talk about those Tibetans Buddhist monks going on Facebook for the first time. Can’t seem to wait for their collection of fails and win videos whenever they do share their personal life with others across the globe. But on a serious note, this will help a lot of mountain climbing expeditions which this place is famous for.